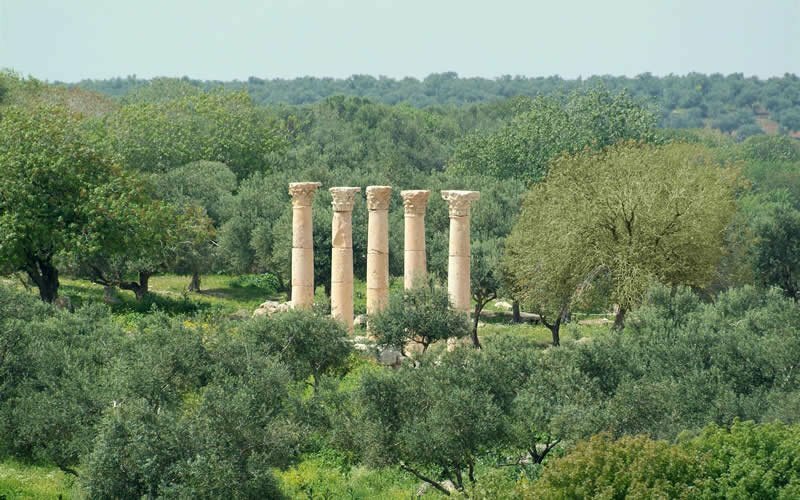 Our driver will pick you up from your hotel in Amman to drive you to Jerash, the well preserved city of the Roman Empire, often called Pompeii of the East. 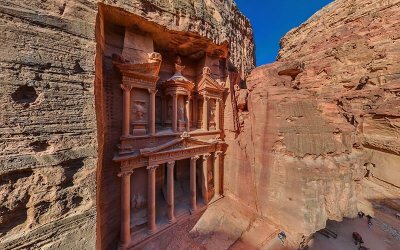 Initially built by Alexander the Great, the town started to prosper after the Roman conquest, and was one of the Decapolis cities in northern Jordan. Visit Hadrian's Arch, built in 130 AD to honor the visit of Emperor Hadrian. Pass the Hippodrome offering space for 15,000 spectators, the impressing Forum, continue to the Temple of Artemis. Other highlights are the Colonnaded Street and the Nymphium, touring Jerash then heading to Ajloun Castle. 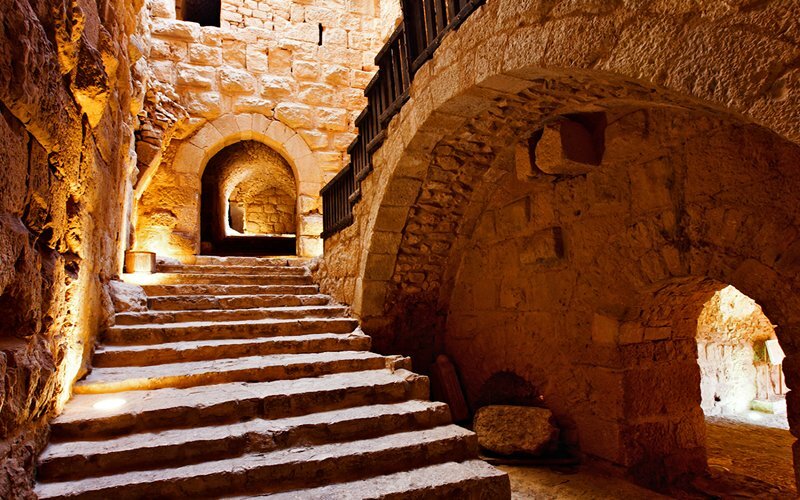 Ajloun Castle is a notable exception - although it dates from the same period it was actually built by one of the Islamic governors under Saladin, and was used as one of the principal bases in the expulsion of the crusading armies. The excellent state of preservation makes Ajloun Castle the best example of Islamic military architecture from the crusading era. The castle is in a great location with pretty rural views, as well as having towers, staircases, and myriad different chambers to explore. Break for lunch if preferred then continue driving to Umm Qais which is another former Decapolis city, but also features more recent Ottoman buildings and architecture. Beyond these however, the most impressive feature of the city is actually its location. It sits on a ridge overlooking the Sea of Galilee, the Golan Heights and the River Jordan, a magnificent and historic vista. Much of the Classical city was built in black basalt, which makes for impressive ruins - amongst the best of them are the theatre and a basilica courtyard dotted with black sarcophagi. 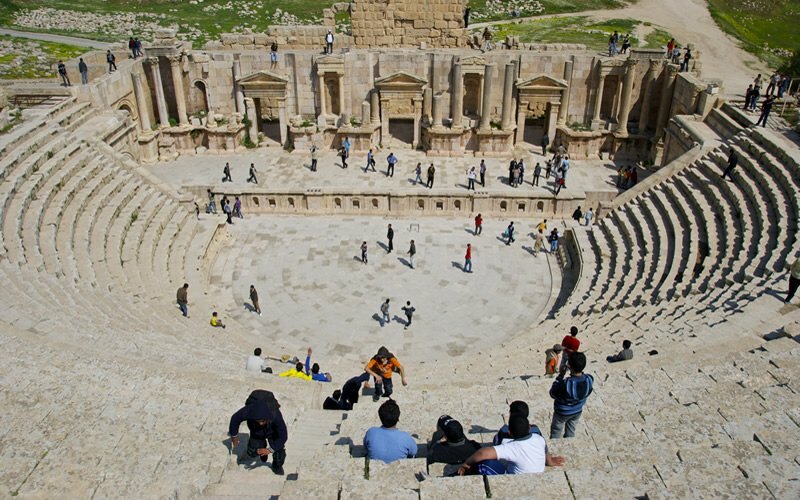 Have a great time at these places then drive back to your hotel in Amman.